Small intestinal bacterial overgrowth (SIBO) is a condition that is characterized by too many microorganisms in the small intestine. Unlike the large intestine or colon, which is extraordinarily rich in bacteria, the small intestine usually has much less bacterial organisms. The small intestine typically has less than 104 organisms per millilitre. Anything above this level is classically considered to be SIBO (1). This bacterial overgrowth can be a combination of both good (progenic) and bad (pathogenic) microorganisms. SIBO damages the intestinal lining and creates a state of mild-severe leaky gut syndrome and resulting food allergies, sensitivities and chronic inflammatory processes (2). It is imperative to get proper help through good nutrition and lifestyle and the help of a functional nutrition practitioner. The duodenum and proximal jejunum normally contain small numbers of bacteria, usually lactobacilli and enterococci, gram-positive aerobes or facultative anaerobes. Coliforms may be transiently present (< 103 bacteria per mL) and anaerobic Bacteroides are not found in the jejunum in healthy people (3). The distal ileum is a transition zone between sparse populations of aerobic bacteria of the proximal small intestine and very dense populations of anaerobic micro-organisms in the large bowel. Any imbalance or increase in the amount of bacteria in the jejunum and ileum is considered SIBO (4). Iron is typically absorbed in the duodenum and the jejunum and SIBO can interfere with this absorption resulting in microcytic anemia. Vitamin B12 is absorbed in the ileum and patients with SIBO often have B12 malabsorbtion which leads to megaloblastic anemia and B12 deficiency (6). 8. Chronic illnesses such as fibromyalgia, chronic fatigue syndrome, autoimmune diseases, diabetes and neuromuscular disorders. Individual with SIBO will often experience abdominal pain, nausea, gas, bloating, belching, flatulence, chronic constipation or diarrhea. The sheer amount of microorganisms and the metabolic waste they produce through their life cycle can be very challenging to the body. As the metabolic waste is released it causes the build-up of methane and sulfur based gases that produce the bloating, gas and flatulence (5). Many physicians now believe that irritable bowel syndrome which has always had a loose definition is now better understood as SIBO (5, 6). SIBO is also known to be associated with Celiac disease, fibromyalgia, all auto-immune conditions, rosacea, liver problems, gallstonesand gastritis. In contrast, microorganisms that preferentially metabolize carbohydrates to short-chain fatty acids and gas may produce bloating without diarrhea because the metabolic products can be absorbed. Gram-negative coliforms, such as Klebsiella species, may produce toxins that damage the mucosa, interfering with absorptive function and causing leaky gut syndrome. 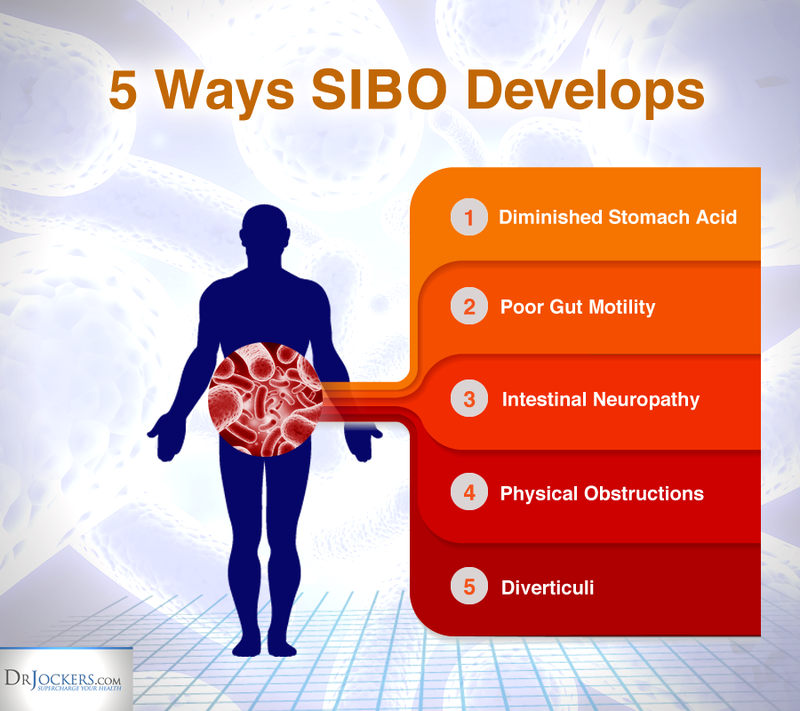 SIBO develops when the normal homeostatic mechanisms that control intestinal bacterial populations are disrupted. There are several processes that most commonly predispose to bacterial overgrowth with the two most common being diminished stomach acid secretion and lack of small intestine motility (8). 1) Diminished Stomach Acid: When one has low stomach acid it leads to inadequate digestion in the stomach. Stomach acid is necessary for protein digestion and to reduce bacteria levels from the food ingested. Low stomach acid leads to incomplete digestion and larger bacterial loads getting into the small intestine from the stomach (8). Now, large protein molecules make their way into the small intestine where the pancreas has to pump tremendous amounts of enzymes out to attempt to metabolize these large particles.Overtime, this leads to pancreatic insufficiency and overall poor digestive function. The combination of increased bacterial loads making it through the normally low-pH environments of the stomach and into the small intestine along with poor digestion leads to an environment for bacterial overgrowth in the small intestine (9). Additionally, taking proton pump inhibitors for acid reflux further lowers the pH of the stomach and creates the pathogenesis just described for the development of SIBO. Long-term use of PPI’s are a red flag risk factor for the development of SIBO (10). 2) Poor Gut Motility: Our gut relies on nerves, muscles, enzymes, and neurotransmitters to properly digest food. While enzymes mainly break down our food, the nerves, muscles and neurotransmitters physically move the food through our digestive tract from the stomach to the small intestine and to the colon. When this happens in a healthy gut, bacteria gets passed through the digestive tract along with the food to its final destination in the colon. Problems arise when motility is slow. This leads to food being stuck in the small and large intestine where it ferments and creates a breading ground for bacteria. This is a ripe environment for the development of SIBO (11, 12). The ileocecal valve is what seperates the large and small intestine. In conditions with slow motility, this valve can get weak or held open by feces which allows for bacteria to translocate from the large to the small intestine (13). Improving gut motility is of upmost importance in preventing and correcting SIBO. 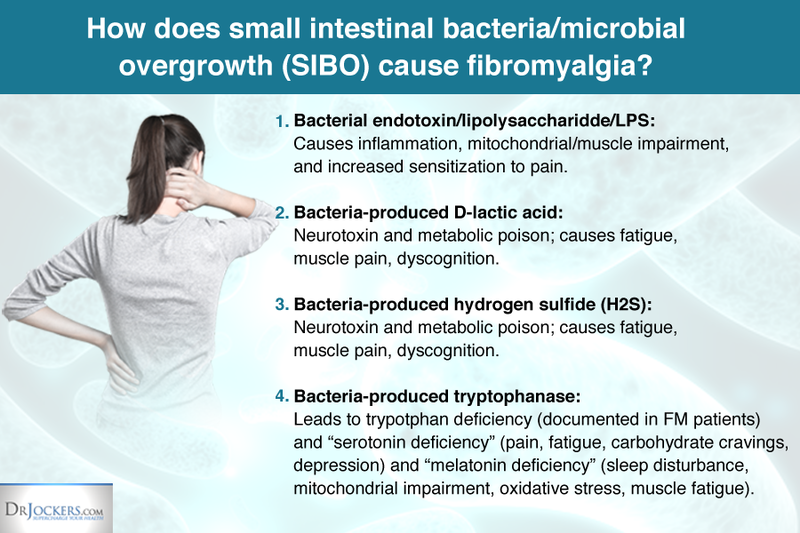 3) Intestinal Neuropathy: Damage to the nerves or muscles in the gut can result in leftover bacteria in the small intestine, increasing your risk for SIBO. This can happen with diabetes, scleroderma or serious trauma. 4) Physical Obstructions: Physical obstructions in the gut, like scarring from surgeries or Crohn’s disease, can also cause an abnormal buildup of bacteria in the small intestine. 5) Diverticuli: Diverticuli, which are tiny pouches that can form in the wall of the small intestine, can also collect bacteria instead of passing it on to the colon, where it belongs. 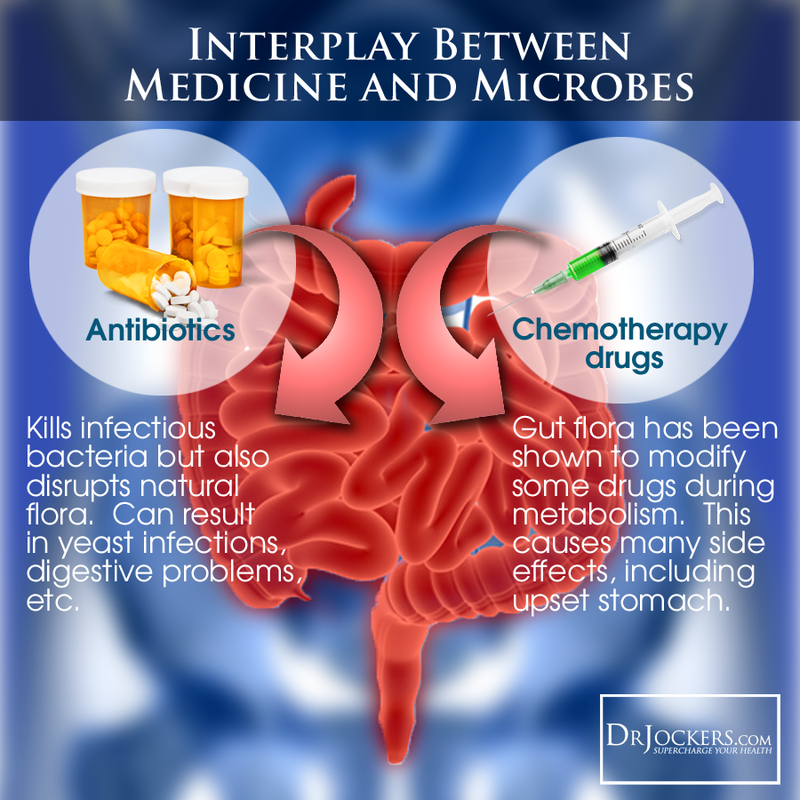 There are also medications that influence or disrupt the microbiome, such as antibiotics, acid-blocking drugs (PPIs) and steroids. If you have taken any of these for a period of time it makes you much more susceptible to developing SIBO (14). I always ask my clients if they have been on these medications for a period of time. If they have been on any of these medications for more than 2-3 weeks at a time, I highly suspect they are dealing with some form of SIBO. The most important factor is a thorough understanding of one’s health history and symptomatology. There are three lab tests that are known to test for the presence of SIBO. This is a simple urine test that looks at a number of different metabolic biomarkers. It will analyze for neurotransmitter disruptions, B vitamin deficiencies, mitochondrial issues, oxalate malabsorption and toxicity issues. This test also looks at urinary biomarkers from both yeast and bacterial overgrowth. Comprehensive Stool Analysis: This is also a functional medicine lab test looking at the flora of the large intestines. It is not definitive for SIBO, however, if I see all elevated levels of good and/or bad bacteria in the stool I suspect SIBO. It is also very good at looking for overgrowth of pathogenic bacteria and parasites such as H Pylori, Klebsiella, Candida, Blastocystis Hominis and more. This is not a confirmative test for SIBO but can be backed up with the Breath test to confirm SIBO. The most common medical treatment for SIBO is antiboitic therapy. This has been shown to be effect at lowering the bacterial counts and reducing the symptoms of SIBO. 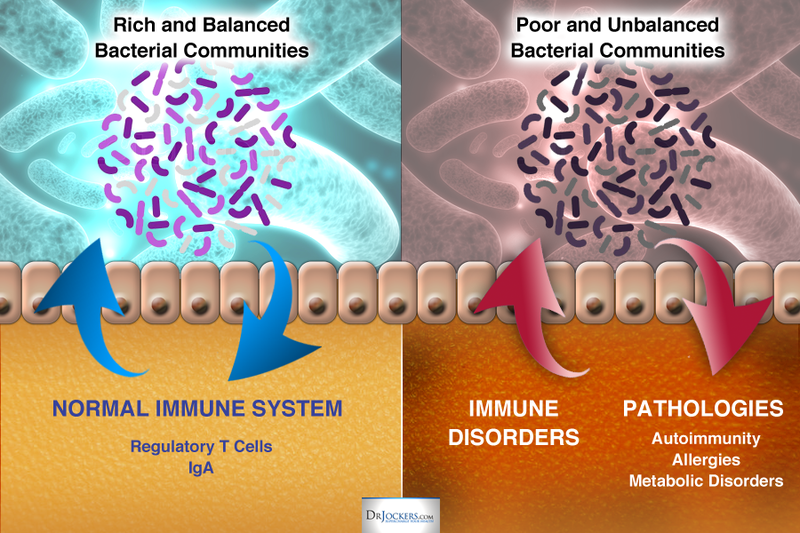 Unfortunately, this also creates shifts in the microbiome that can cause continual reoccurence of SIBO (15). A study published in the American Journal of Gastroenterology conclused that SIBO patients who were treated with antibiotics have a higher recurrence rate and the GI distress was worse upon reoccurence of SIBO (16). Antibiotics are often times the best course of action for someone with SIBO, but they should NEVER be the only course of action. Much more important is the 4 R program below! 1. Remove: Remove the bad stuff. The goal is to get rid of things that negatively affect the GI tract such as inflammatory foods, infections and gastric irritants like alcohol, caffeine or drugs. Inflammatory foods such as gluten, dairy, corn, soy, peanuts, sugar and sometimes eggs can lead to food sensitivities. I recommend a Low FODMAPS Elimination Diet and IgG food sensitivity testing to determine if any foods are a problem for you. Infections can be from parasites, yeast or bacteria. A comprehensive stool analysis is key to determining the levels of good bacteria as well as any infections that may be present. Removing the infections may require treatment with antimicrobial herbs or various medications. 2. Replace: Replace the good. Add back in the essential ingredients for proper digestion and absorption that may have been depleted by diet, drugs (such as antacid medications), diseases or aging. This includes digestive enzymes, hydrochloric acid and bile acids that are required for proper digestion. 3. Reinoculate: Restoring beneficial bacteria to reestablish a healthy balance of good bacteria is critical. This may be accomplished by taking a probiotic supplement that contains beneficial bacteria such as bifidobacteria and lactobacillus species. In some cases, individuals with SIBO and gut problems do not do well with lactobacillus species and that is when I focus on spore forming soil based organisms. I recommend anywhere from 30 -100 billion units a day. Also, taking a prebiotic (food for the good bacteria) supplement or consuming foods high in soluble fiber such as beets, carrots, leeks, radishes, jicama, onions, garlic and artichoke is important. 4. Repair: Providing the nutrients necessary to help the gut repair itself is essential. One of my favorite supplements is L-glutamine, an amino acid that helps to rejuvenate the gut wall lining. Other key nutrients include zinc, omega-3 fish oils, anti-oxidants and herbs such as deglycyrrhizinated licorice (DGL) and aloe vera. 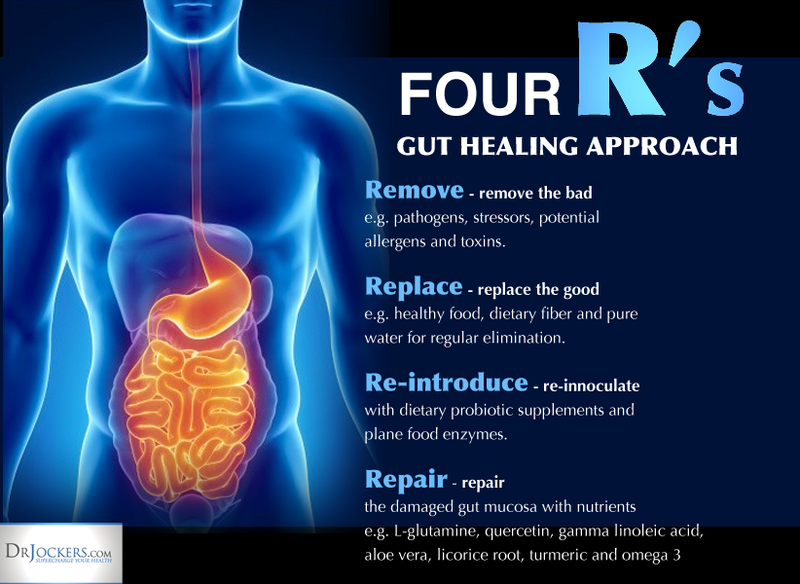 No matter what your health digestive health issue is, the 4R program is the best place to start in order to get you and your digestive system healthy. I have witnessed dramatic reversals of chronic and inflammatory illnesses in a very short period of time by utilizing this simple approach. There is a time and place for prescription anti-biotics, however, many of my clients (and I) prefer a natural anti-microbial regimen. Here are 3 of my favorite natural anti-microbials for eliminating bad bacteria. Berberine: Berberine is a plant alkaloid derived from a variety of herbs, including Oregon grape root. This phytochemical constituent has a long history of use in Chinese and Ayurvedic medicine owing to its effectiveness and safety. Berberine helps to destroy bacteria and other microbes, improves insulin sensitivity and blood sugar regulation, helps to balance neurotransmitters for improved mood and helps to reduce inflammation along the intestinal epithelia and improves the strength and integrity of the gut lining (17, 18, 19, 20). GrapeFruit Seed Extract: Grapefruit Seed Extract (GSE) has very high amounts of disease-fighting, free-radical eliminating antioxidants and phytonutrients called bioflavonoids. These bioflavonoids are extremely powerful anti-microbials (21, 22). A recent study from The Journal of Alternative and Complementary Medicine found that grapefruit-seed extract was effective in killing over “800 bacterial and viral strains, 100 strains of fungus, and a large number of single and multi-celled parasites” (23). No other naturally-occuring anti-microbial can come close to these results. Oregano Oil: This super herb is very rich in anti-oxidant phytochemical flavonoids and phenolic acids. Oregano Oil is also an extraordinarily powerful natural anti-biotic.Oregano has been found in studies to be significantly better than all of the 18 currently used anti-biotics in the treatment of MRSA staph infections and challenging microbial biofilms (24). The strong phenol anti-oxidants destroy pathogenic bacteria, viruses and yeasts (25, 26, 27). I have my clients use GI Regulator which is a powerful supplement with clinically effective dosages of Berberine, Grapefruit seed extract and other compounds to help destroy bad microbes and heal a damaged gut membrane. Additionally, I like to use oregano and peppermint essential oils in this process. For individuals with SIBO, it is adviseable to begin on a low FODMAP elimination diet for 30 days. FODMAPS is an acronym for Fermentable Oligo, Di- and Monosaccharides and Polyols. These are all types of sugar based carbohydrates that are found in certain foods and are challenging on the bowel (28). These sugars include glucose, fructose, galactans, polyols and lactose among others. These can be problematic because they fuel the growth of the bacteria in the small intestine which aggravates the pre-existing overgrowth syndrome (29). Here is the list of the foods in these categories. It’s important to stick with a total elimination of the foods on the “avoid” list for this period. Reading the list, it may seem like there’s little left to eat — however, there are plenty of great-tasting and healthy foods on the SIBO diet. 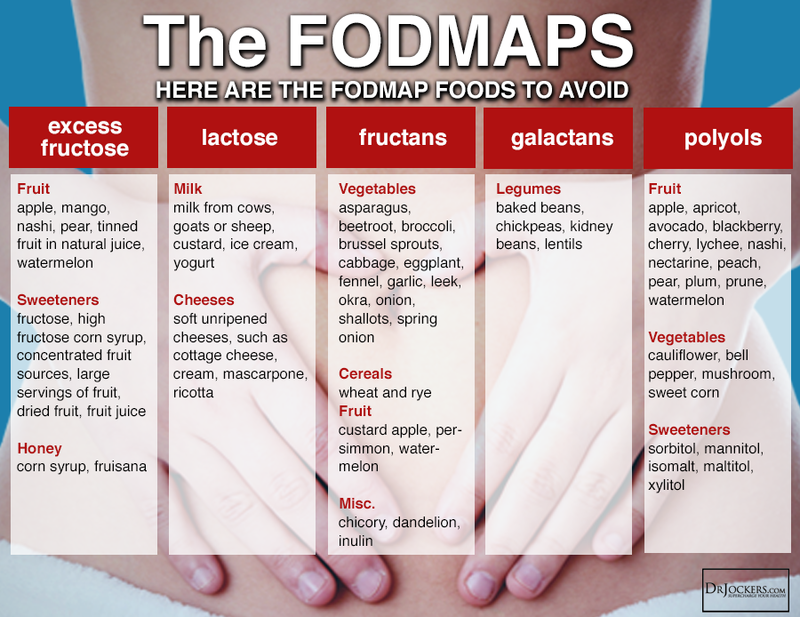 The typical nutrition plan for someone struggling with digesting FODMAPs is somewhat restricted but not too terribly difficult to figure out. Breakfast can include a protein shake with coconut milk and a vegan protein such as hemp, brown rice protein or pea protein. One could also do pastured eggs cooked in coconut oil with green veggies like spinach or kale, herbs, fresh squeezed lemon and herbs. For lunch these individuals could do a big salad with olive oil and grass-fed chedder cheese or pastured chicken. For dinner they could do a small salad with cucumbers and grass-fed beef or wild-Alaskan salmon or another quality animal protein with olive oil, fresh lemon and herbs. Some individuals can handle small amounts of fully steamed broccoli, cauliflower or cabbage. If you have any gas or bloating, try to locate what you consumed that may have contributed to that and avoid that food. You should notice a week with minimal health problems. 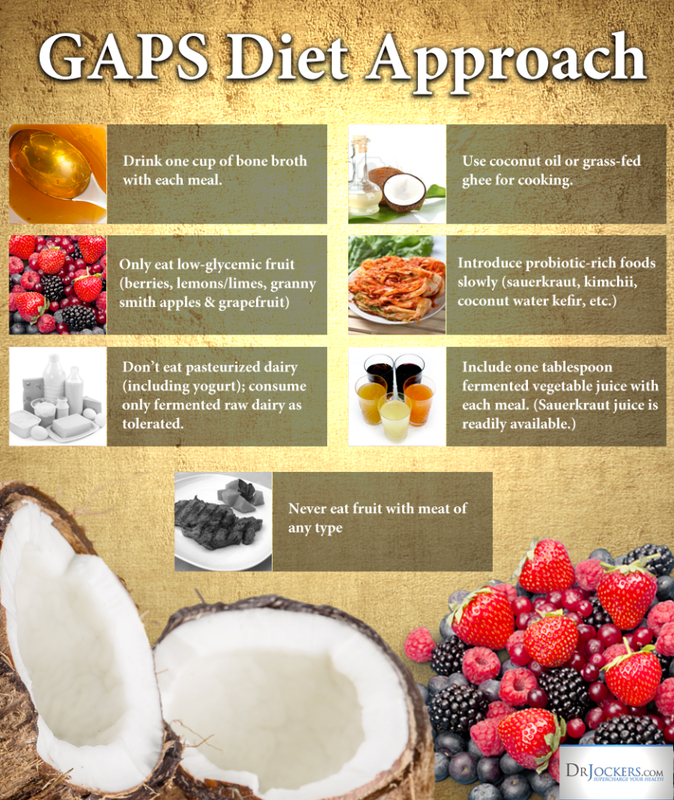 GAPS diet stands for Gut and Psychology Syndrome developed by Dr Natasha Campbell-McBride. 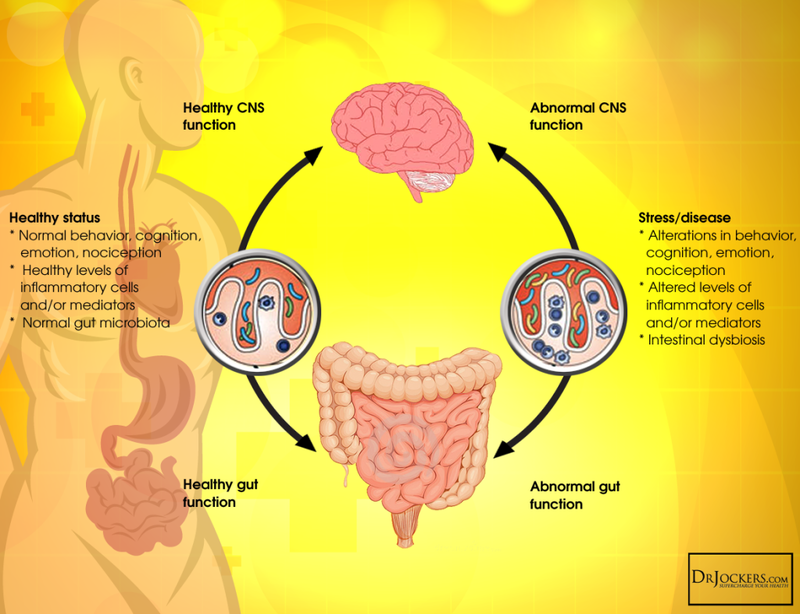 Dr Campbell was one of the first to recognize that when the body has a dysbiotic state and resulting leaky gut syndrome it creates an inflammatory process that affects all regions of the body (30). The GAPS Nutrition plan helps to repair leaky gut syndrome by providing supportive nutrients and reinnoculating the gut with healthy probiotic enriched foods. This process helps to heal IBS and improve symptoms of anxiety, obsessive compulsive disorder, ADHD, Autism and depression. There are a number of foods that you need to continue to avoid on this plan. All grains, processed sugars, high-starch foods, processed foods, and non-organic meats and dairy should still be avoided. Your system is still healing from SIBO, and repairing your digestive tract and getting your body back in balance are the priorities. Drink one cup of bone broth with each meal. Use coconut oil or grass-fed ghee for cooking. Don’t eat pasteurized dairy (including yogurt); consume only fermented raw dairy as tolerated. Incorporate organic coconut oil, grass-fed ghee and coconut butter whenever possible during this stage. These are all rich in medium-chain triglycerides which are easy on the digestive system and help support the health of the gut lining and blood brain barrier. 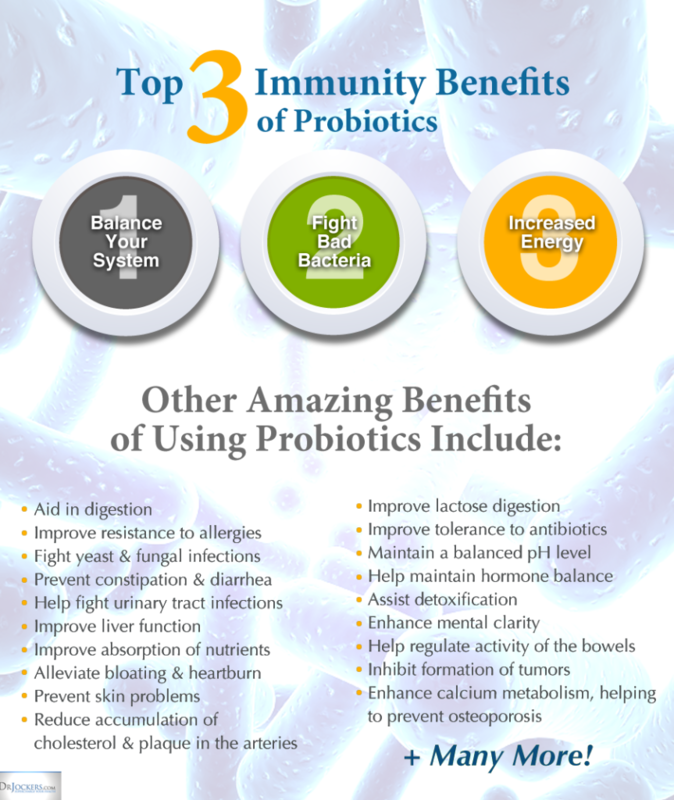 Probiotic supplementation has demonstrated to improve gut barrier strength and integrity, to reduce pathogenic bacteria levels, modulate the immune system and reduce inflammation throughout the body. Probiotic supplementation is a key part in the full restoration from SIBO and has been shown to be superior to antibiotics in the treatment of SIBO (31, 32). Lactobacillus plantarum, lactobacillus acidophilus, lactobacillus casei have all demonstrated effectiveness in the treatment and management of SIBO. Conversely lactobacillus fermentum and saccharomyces boulardii have been found to be ineffective (33). Both lactobacillus plantarum and lactobacillus rhamnosus have been shown to be effective in suppressing abnormal gas producing organisms in bacterial overgrowth syndrome. High quality probiotics taken in uncomplicated cases of SIBO can usually result in the individual becoming symptom free (34). Probiotic therapy may need to be taken continuously to prevent the return of overgrowth of gas producing bacteria (35). For most of the history of mankind, we lived in close contact with the Earth. The majority of our diet consisted of foods and water that had soil clinging to it. This soil was not an inert substance but was a dynamic mineral rich, probiotic infused source of electrochemical energy. The unique soil based probiotics bacillus subtilis and bacillus coagulans were some of the key components that gave the soil its powerful nutritional benefits. This bacterium is called a human soil organism (HSO) and has an extraordinary ability to survive harsh environments. B subtilis and coagulans are fully resistant to bile salts and can handle the harsh stomach acid environment which allows it to get into the digestive system and colonize. It has beneficial effects in the digestive system (36, 37, 38). Research has revealed that supplemental B subtilis and coagulans improve symptoms of irritable bowel syndrome (39). B subtilis and coagulans are able to suppress the growth of harmful pathogens, strengthens the mucosal biofilm and enhance the growth of other good probiotic strains such as lactobacillus species in the gut microflora (40, 41). Many individuals with SIBO struggle with any lactobacillus strains of bacteria and need soil based, sporm forming bacteria of the Bacillus strain. Clinically, I will use Hista Response, which is a low dose B Coagulans with hyperimmunized IgY to reduce gut inflammation and improve immune function. Later on, I will often add in SBO Probiotics with my SIBO clients as they begin to feel better and then I will often switch to a lactobacillus and bifidobacterium rich probiotic. Here are the best action steps to get started with on your journey to prevent and/or beat SIBO. You should always consult with your physician before stopping or changing medications or taking on new health strategies. Additionally, you should be working with a functional health practitioner to help guide you through these strategies. This is not an exhaustive list and there are other natural therapeutic strategies that I and functional health practitioners will utilize to help individuals with SIBO. 1. Bone Broth Fast: Do a 3-7 Day bone broth (grass-fed beef, chicken or fish bones are the best but you can do vegetable broth as well) fast to cleanse the gut and starve out the bacteria while providing nutrients such as proline and glycine that are necessary for the gut membrane to heal. You can have herbal teas and organic coffee with coconut oil and ghee along with the bone broth on this fast. 3. GAPS Diet: After finishing the 14 days on the low FODMAPS plan, move into a low-FODMAP GAPS diet here for the next 14 days where you begin to add back some fermented foods and beverages. 4. Slow Reintroduction: Add higher FODMAP group foods back into your system slowly. Take one food (such as avocado) and add it back for 3 days and see if you notice more gas, cramping and other digestive issues. If so, eliminate that food, go back on GAPS-FODMAP diet for 2-3 days and then try another food higher FODMAP food (onion). 5. Hydration: It is especially important to focus on hydration and electrolytes during this period. Aim to drink a minimum of half your body weight in ounces of water. Most individuals with SIBO respond really well to high amounts of water as it helps to flush out bad bacteria from the system. I will often tailor programs to help individuals with SIBO super-hydrate their systems with great success. It is also advisable to use good pink salts such as Himalayan sea salt adding in 1/4 tsp per 8oz of water to help mineralize the body. 6. Use Organic Acids: Individuals with SIBO typically respond well to small amounts of organic acids such as apple cider vinegar and lemon juice. Add these to your water or herbal teas. Proper ratios would be 1-2 tbsp of ACV per 8oz of water or 1/4 – 1/2 lemon per 8oz of water. These acids help to kill off bacteria and improve the production of digestive juices such as hydrochloric acid, bile and pancreatic enzymes. Drink them between meals and before a meal to improve digestion function. 7. Intermittent Fasting: I have my SIBO clients do intermittent fasting where they only consume foods between a 6-8 hour eating window each day. The fasting window helps to starve down the bacteria and reduce their count. It also helps enhance the healing process and the restoration of the gut lining. Read this article for more information in Int Fasting. 8. Liquid Nutrition: I recommend consuming protein shakes with berries and coconut milk or raw, grass-fed milk (if tolerable) and a high quality protein powder. I am also a big fan of soups, stews, bone broth, green juices, herbal tea and coffee with coconut oil and grass-fed ghee. Also doing some coconut water kefir and sauerkraut or kimchii juice early in the GAPS is a great idea. Liquid nutrition is easy on the digestive system and reduces stress on the stomach, liver, gallbladder, pancreas and intestines. This enhances the healing process of the body. 9. Fermented Foods: Begin slowly adding in fermented veggies such as organic and live sauerkraut, kimchii, natural pickles, coconut water kefir and coconut yogurt. Consuming a few tbsps throughout the day and especially with any larger meals is especially helpful. 11. Get Moving and Regular Sunlight: Moving on a regular basis, especially light intensity movement such as walking helps reduce inflammation in the body and improve bowel transit time. Getting regular sun exposure enhances the healing process through the assimilation of biophotons into the skin. Additionally, sun exposure provides vitamin D3 which we want to optimize in order to heal effectively. 12. Improve Your Gut Motility: Improving bowel movement frequency and consistency is a key detoxification concept. Read this article for steps and strategies to improve bowel motility. 14. Utilize an Advanced SIBO Support Supplement Program: If you have moderate-severe SIBO than I would recommend using an advanced SIBO support supplement program and strongly considering working with a natural practitioner who is trained in helping people overcome SIBO naturally. 2. Bures J, Cyrany J, Kohoutova D, et al. Small intestinal bacterial overgrowth syndrome. World Journal of Gastroenterology : WJG. 2010;16(24):2978-2990. 4. Sachdev AH, Pimentel M. Gastrointestinal bacterial overgrowth: pathogenesis and clinical significance. Therapeutic Advances in Chronic Disease. 2013;4(5):223-231. 8. Dukowicz AC, Lacy BE, Levine GM. 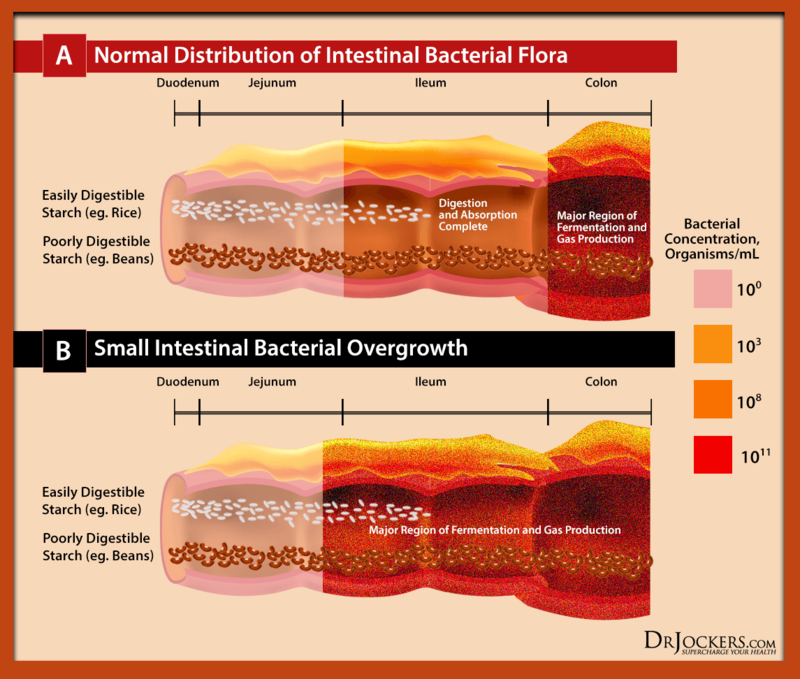 Small Intestinal Bacterial Overgrowth: A Comprehensive Review. Gastroenterology & Hepatology. 2007;3(2):112-122. 11. Wang Y-B, Liu J, Yang Z-X. Effects of intestinal mucosal blood flow and motility on intestinal mucosa. World Journal of Gastroenterology : WJG. 2011;17(5):657-661. 20. Li G, Wang X, Jiang T, Gong J, Niu L, Li N. Berberine Prevents Intestinal Mucosal Barrier Damage During Early Phase of Sepsis in Rat through the Toll-Like Receptors Signaling Pathway. The Korean Journal of Physiology & Pharmacology : Official Journal of the Korean Physiological Society and the Korean Society of Pharmacology. 2015;19(1):1-7. 24. Kavanaugh NL, Ribbeck K. Selected Antimicrobial Essential Oils Eradicate Pseudomonas spp. and Staphylococcus aureus Biofilms. Applied and Environmental Microbiology. 2012;78(11):4057-4061. 27. Yap PSX, Yiap BC, Ping HC, Lim SHE. Essential Oils, A New Horizon in Combating Bacterial Antibiotic Resistance. The Open Microbiology Journal. 2014;8:6-14. 28. Magge S, Lembo A. Low-FODMAP Diet for Treatment of Irritable Bowel Syndrome. Gastroenterology & Hepatology. 2012;8(11):739-745. 41. Vlamakis H, Chai Y, Beauregard P, Losick R, Kolter R. Sticking together: building a biofilm the Bacillus subtilis way. Nature reviews Microbiology. 2013;11(3):157-168. This entry was posted in Uncategorized on March 14, 2018 by The Health Coach.